At the turn of the year, Lu Liangliang is aboard the SA Agulhas II as it makes a stop at Penguin Bukta and prepares to leave for the Weddell Sea. Part 2 of 3. Another penguin sighting, this time emperor penguins. The ship reached Penguin Bukta on 20 December 2018 to offload cargo for the South African Antarctic base and wait for the main Weddell Sea Expedition team to board. We had a chance to go on the ice and collect ice samples on 21 December. We extracted two test corings and two 60 cm ice cores with temperature measured along their depth on-site. 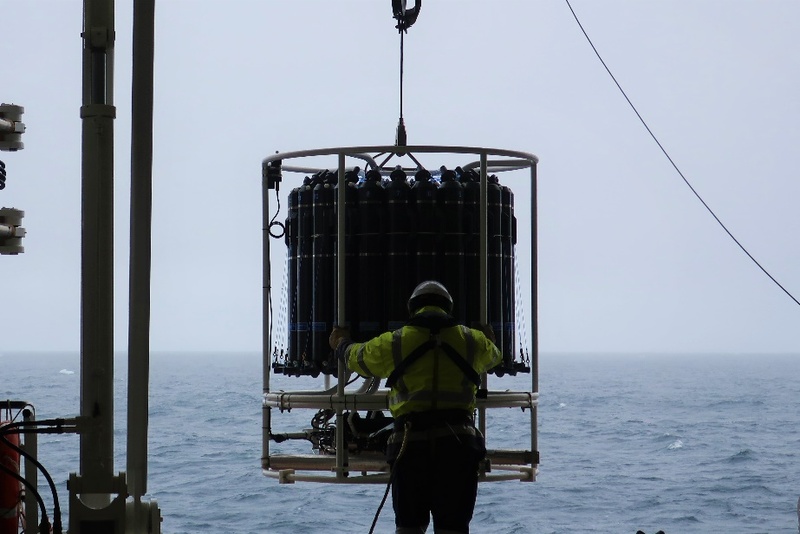 Afterwards, the samples were transported to the ship's freezer to further analyse their salinity, density and crystal structure. Crystal structure of an ice core. On 27 December, after finishing preparations, I received permission from the captain to conduct a ship manoeuvring test in the ice near the ice shelf. However, the nearby level ice was a bit too thick (around 1.5 m) for the ship to manoeuvre and we had to cancel the test after several tries. But the opportunity is still there, should the level ice conditions allow it. As the year drew to a close, we were joined by more and more members of the Weddell Sea Expedition. We celebrated New Year’s Eve together and gradually got to know each other. View of the ship and ice shelf at Penguin Bukta. Now that 2018 has ended, a summary of the first period of the voyage: all systems related to the properties of ice, ice conditions, ice load and ship motion worked well and a daily routine was developed to download and back up all the data. Data conversion and analyses can begin soon as well. It was a very good year. The new year began with a football game on the starboard side of the ship and simultaneously on the port side with ice coring on thick bay ice. We extracted three more cores, measuring at 1.6 metres, on the first day of 2019. 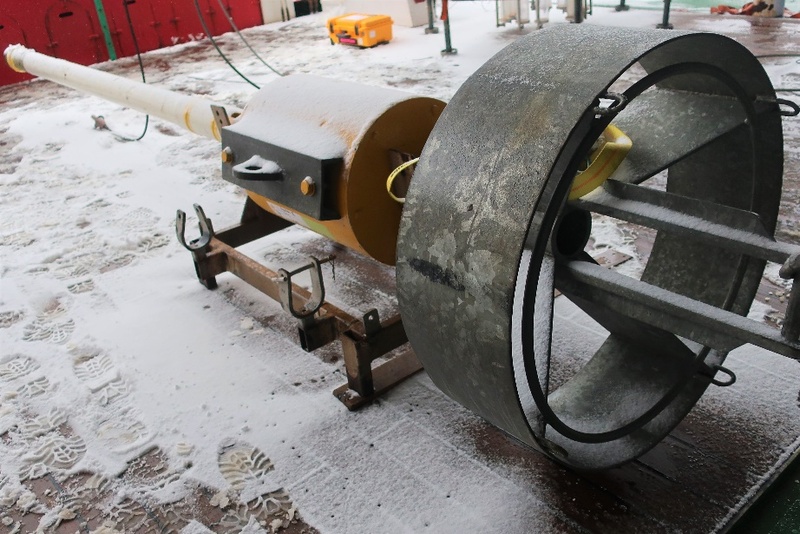 The Weddell Sea Expedition began on 3 January with all participants on board. The ship headed for the Larsen C ice shelf at full speed. Meanwhile, safety briefings and expedition meetings were held. 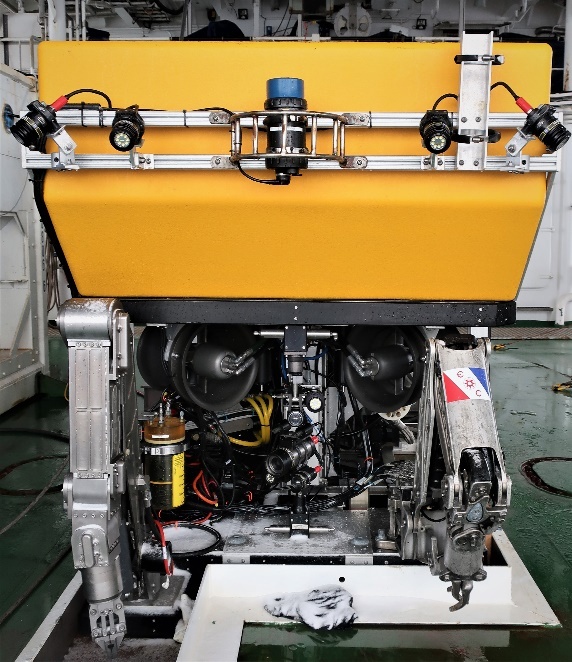 The expedition includes scientific researchers on geophysics, glaciology, sea ice, marine biology, marine archaeology, oceanography and ship engineering with a lot of advanced equipment: an autonomous underwater vehicle (AUV), a remote operated vehicle (ROV), a CTD, a drone and a sediment corer. The main focus area is the Larsen C ice shelf and the iceberg A-68. Ice conditions permitting, the expedition intends to search for the wreck of the Endurance, the ship of Ernest Shackleton. Photographs courtesy of Weddell Sea Expedition 2019. 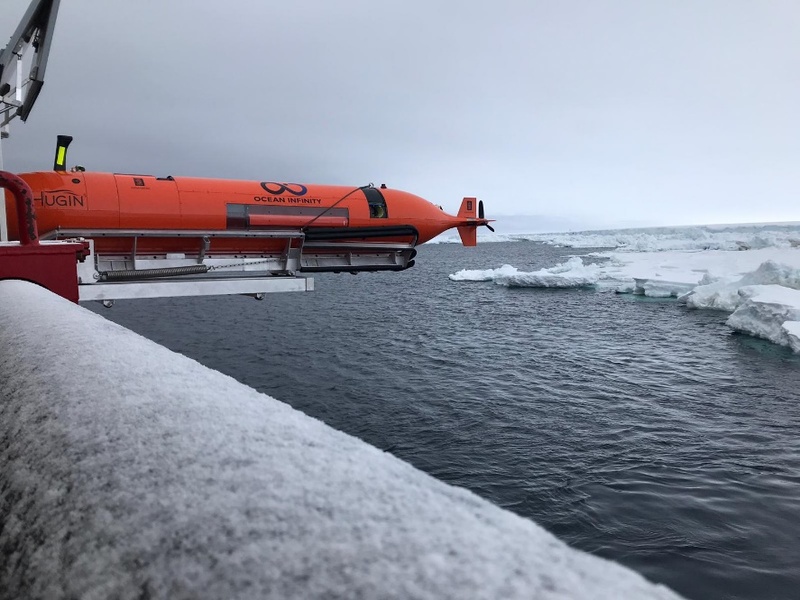 The AUV of the Weddell Sea Expedition in water. We arrived in front of the A-68 iceberg on 10 January. Sea trials of the ROV and AUV begun along with other research activities. See Lu's other dispatches and find out more about arctic research at Aalto University. Part 3 of 3. Lu Liangliang files his final report from the Antarctic before returning to Finland.